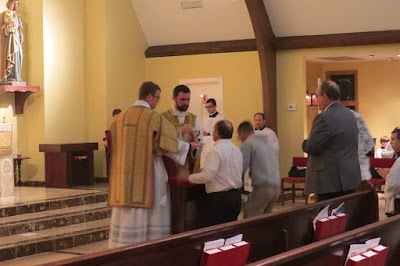 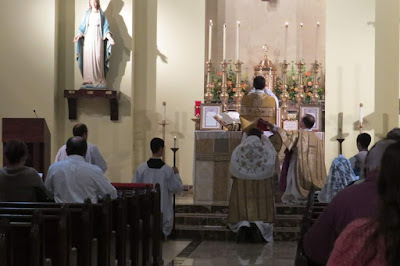 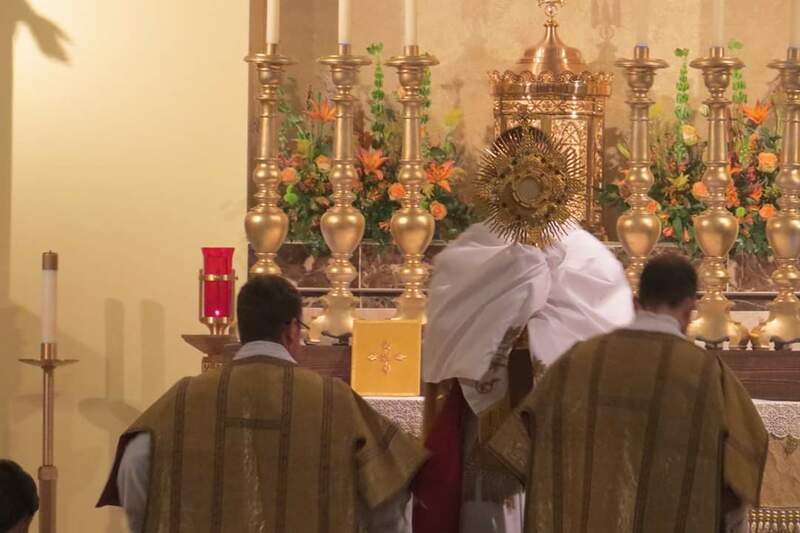 Once again, we are very happy to share some photographs from a new apostolate, established by the efforts of young people who are rediscovering the traditional Latin Mass. These come to us from Jackson, Mississippi, where the local Una Voce chapter has been working diligently to restore the Extraordinary Form. Recently, the group obtained the use of a parish church, and has two young diocesan priests celebrating the EF every other Sunday evening. 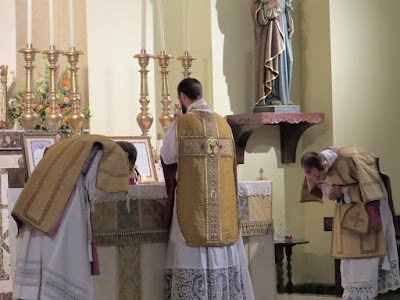 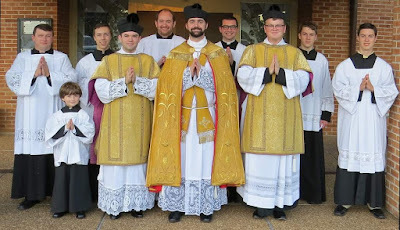 On Sunday, October 28, the feast of Christ the King, they celebrated the first Solemn High Mass in the Diocese of Jackson since the liturgical reform of the 1960s; a small step, but one of a great many. 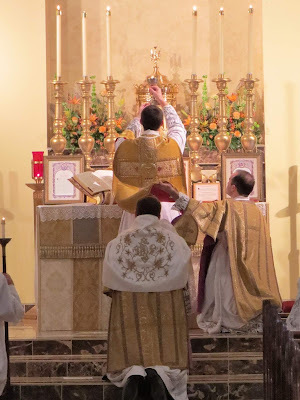 We can all take encouragement once again from the fact that none of the people who are working to make this happen are old enough to be doing so from any sense of “nostalgia”; what we see here is a true and sincere love for the richness of our Catholic liturgical tradition.